Students: how will you spend your Summer? 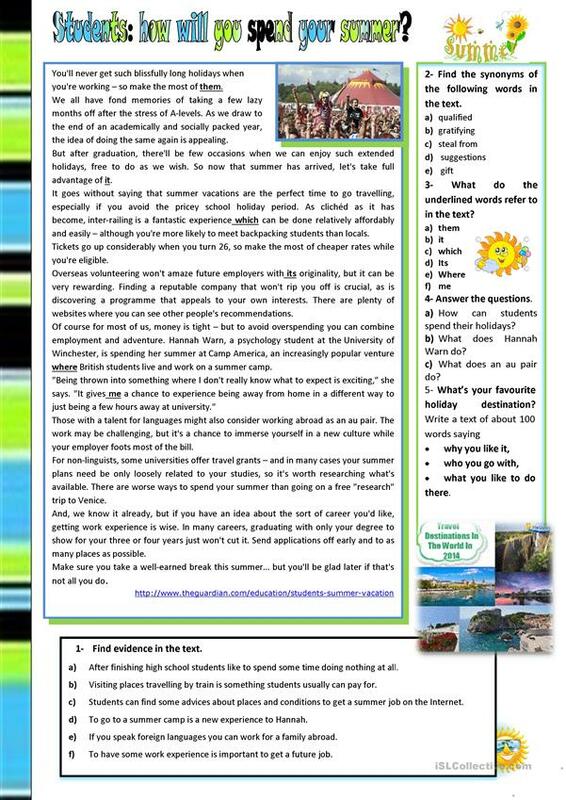 Reading comprehension and writing activities about summer holidays. The present downloadable handout is recommended for high school students at Pre-intermediate (A2) and Intermediate (B1) level. It is a valuable material for developing your pupils' Reading and Writing skills. It focuses on the vocabulary topic of Holidays.